Golden Beach is a barrier island that separates the Intracoastal Waterway from the ocean. The entire town is one mile from north to south and four blocks from east to west. It is a very upscale community with a very small population that ensures privacy. Golden Beach is different from all other cities in Miami because high rise construction and commercial development are not permitted on the island which gives residents peace of mind that their incredible views and peaceful existence will never be disturbed. 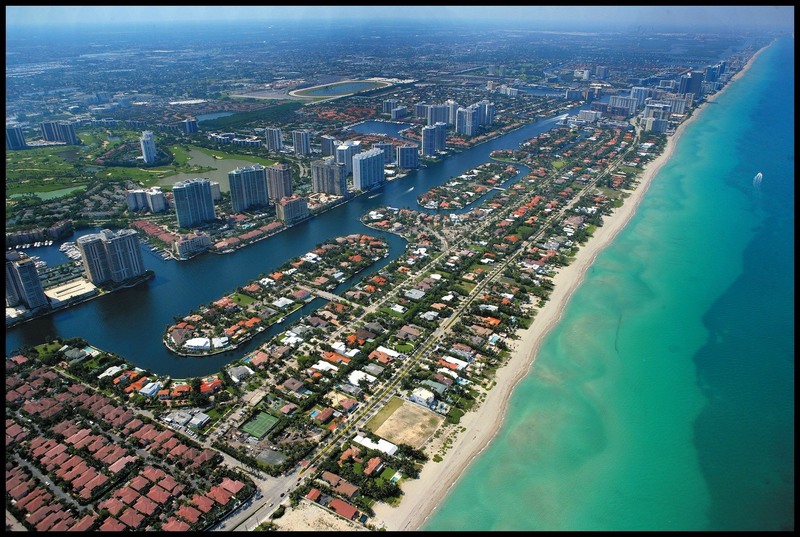 Golden Beach is surrounded by Aventura, Sunny Isles Beach, and Hallandale Beach. All of which have many activities and establishments for residents to enjoy. Real estate on Golden Beach consists of many large single family homes that offer the upmost privacy, opulence, and security. The most beautiful properties with the best waterfront location are located in Golden Beach. Golden Beach has the perfect location for all types of water related activities. There is an abundance of instructors for scuba diving, jet skiing, spear fishing, and much more. There are plenty of things to do in Golden Beach, but if you ever feel the need to leave the area, there are a lot of things to do in the surrounding cities. It is a short drive to the famous South Beach, Coconut Grove, and Biscayne Bay. You can also enjoy world class dining and shopping in nearby Aventura. Golden Beach is an amazing community with a magnificently beautiful location.